Guests, we would love to get to know you better! 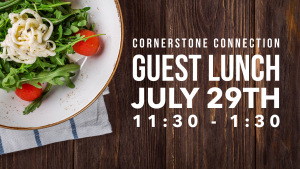 Plan to join us for a lunch just for you after the service on Sunday, July 29th. RSVP to shawn@cornerstonecommunity.com if you would like to attend.